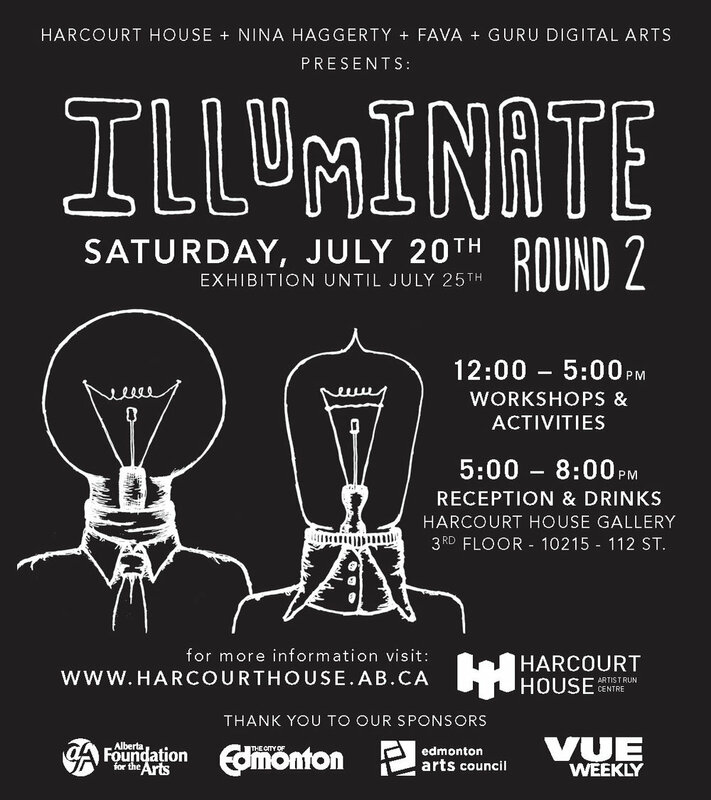 Illuminate was a community arts events in Edmonton aimed to get families and young adults out to the five Artist-Run Centres in town. Year one, I was in charge of organizing and promoting the event for Harcourt House and created a bright and fun illustration to be used on a poster, handbills, and newspaper advertisements. I created a new illustration for year 2 that carried the theme and feel through from the previous. Our budgets were a little tighter the second go, so only the poster and newspaper ads were designed.